I got my first Airbus A380 as a pasalubong, but we got it in a store in Greenhills. The Airbus A380 is the world's largest passenger airline. The A380, previously designated as the A3XX, broke Boeing's stranglehold on jumbo airlines. The four-engined double-decker can seat up to 853 passengers. Its floorspace is 40% larger than Boeing's competitor, the 747-8. It entered service in 2007. 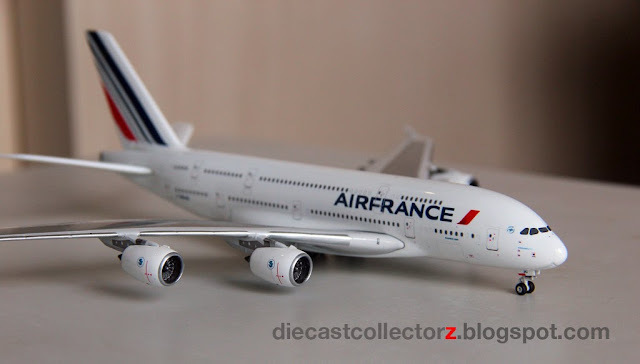 The model I got has an Air France livery.